GIFT JEENIE IS FEATURED ON THE HOMEPAGE OF PRODUCT HUNT! ALSO TO BE FEATURED IN A NEW REALITY TV SHOW! GIFT JEENIE is a personalized shopping aggregator. It curates the best deals and finds the hottest trends just for you! We know you love deals! With the new built-in feature of Gift Jeenie, you can access deals from top online retailers all within the app. You can either purchase them directly or add them to your Wishlist. Curated Trends Just for you! We have partnered up with influencers across North America to provide you with the latest trends in fashion. Discover the latest fashion styles with our influencers top picks for trendy outfit ideas and shop our curation of in style jeans, dresses, shirts, sweaters, jackets and much more. Say good bye to opening infinite browser tabs! With the Wishlist feature, you do not need to open multiple browser tabs or bookmark them in places you’ll never look again! With Gift Jeenie, you will be able to create multiple wish lists, which also act as a memory bank, and share them with your friends via social media, text or email. Making it easier for you to shop! 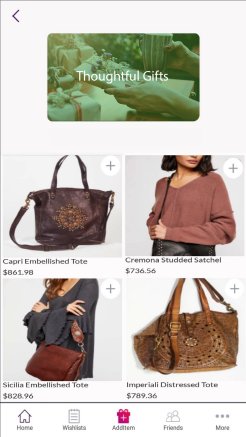 Instead of visiting multiple websites and adding items to your cart, you can just add these items to your Wish List in our app. 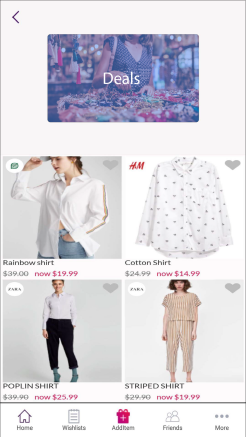 You will also be able to view premium retailers that are currently offering these items giving you the opportunity to compare prices within the app. Aggregates and streamlines multiple deals, wishlists and shopping carts from a variety of online retailers and platforms into one convenient, easy-to-use app. We have teamed up with influencers across Canada and the US to provide you their latest recommendations in fashion and personally curated Wish Lists for you! 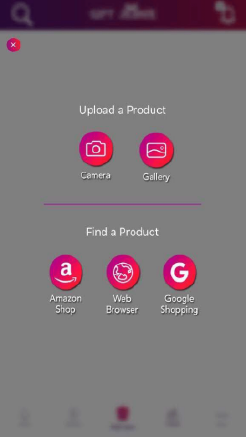 Add products to your wish list using the in-app browser, Amazon Shop or Google shopping. You have all the retailers available to you at the click of a button. Any special occasion just got more special! Create and share your wish list with friends and family over WhatsApp, Facebook, Emails or SMS. Unique feature for being able to see which gifts have already been claimed or granted to avoid repeat-gift giving. Who ships the items to the recipient? 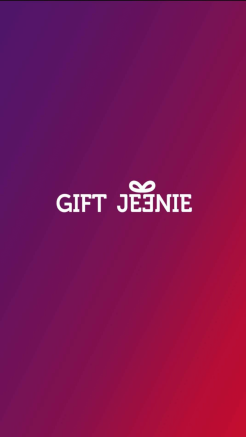 Gift Jeenie does not sell or ship purchased gift items. Retailers, from whom you purchase the products/gifts, will provide the shipping and tracking details. Can I send my wish list to multiple users? You can share your wish list with an individual or as many friends and family members as you wish. How do I know if the gift has not already been gifted by another user? Gifters can mark a gift as ‘granted’ or ‘claimed’ to inform everyone that they need to select another item from their wish list. What is the difference between "Claim" and "Granted"? Claim is when you claim an item but have not purchased it. Granted is when you have purchased a claimed item. Can I edit my wish list once I have already shared it? You can add, update or delete items on the wish list anytime! Even after you have shared it. The “shared” wish list will be updated automatically. Who can gift me items from my wish list? Anyone whom you share your wish list with. How do I search for my wish lists that have been shared with me? Go to “My Lists” and Select “Friends’ Wishlists”. Under “Friends” you will see all the wish lists that have been shared with you. How do I share my wish list ? You can share your wish list by hitting the ‘share’ button on the top right corner and select the channel you wish to use. You can share your wish lists via Facebook, Facebook Messenger, WhatsApp, Twitter and e-Mail. How do I add items from Retailers? Gift Jeenie offers you an in-app browser to surf any online retailer and add their products to your wish list. 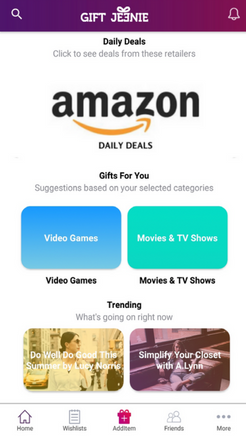 Just tap the “+” button and you can start searching for items you want as gifts. Add the product using the “Add wish” button on the top right corner to any existing wish list or simply create a new one! You can also surf the trending page to see what’s new and trending or browse the social page to see what your friends have been adding to their lists! When adding items from some retailers, the price does not get pulled up automatically. Gift Jeenie has a unique slider feature that enables you to split your “Add Wish” screen using the top center arrow. This allows you to manually add any missing data such as price and/or add additional details into your “description”. 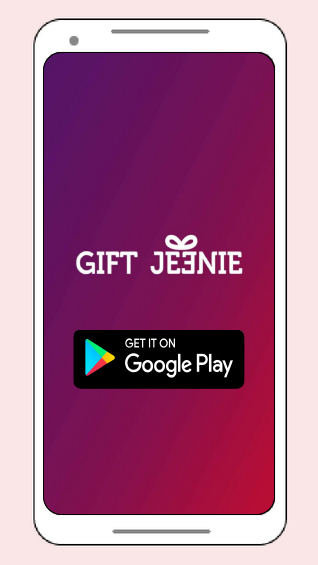 Where do I search the Retailers or Brands that are offered on Gift Jeenie ? Gift Jeenie enables you to browse and add gifts from any retailer which has an online shop or a mobile website! Gift Jeenie does not restrict you by choice or limit the number of retailers you can add from. Can Gift Receivers send “Thank you notes”? Gift Receivers can send thank you messages, photos and videos. Will I be notified when a gift I have on my wish list has been granted? Yes. Gift Jeenie will send you a push notification when an item has been “Claimed” or “Granted” from your wish list. Can I receive reminders for other people’s special occasions so I can grant wishes? Yes. You can set up to receive push notifications as a reminder when it’s your special someone’s birthday or any other special occasion. How do I return a gift I receive from my wish list? All returns are handled by the direct Retailer from whom your ‘granter’ has made that purchase from. Review that Retailer’s return policy on their website and work directly with them. 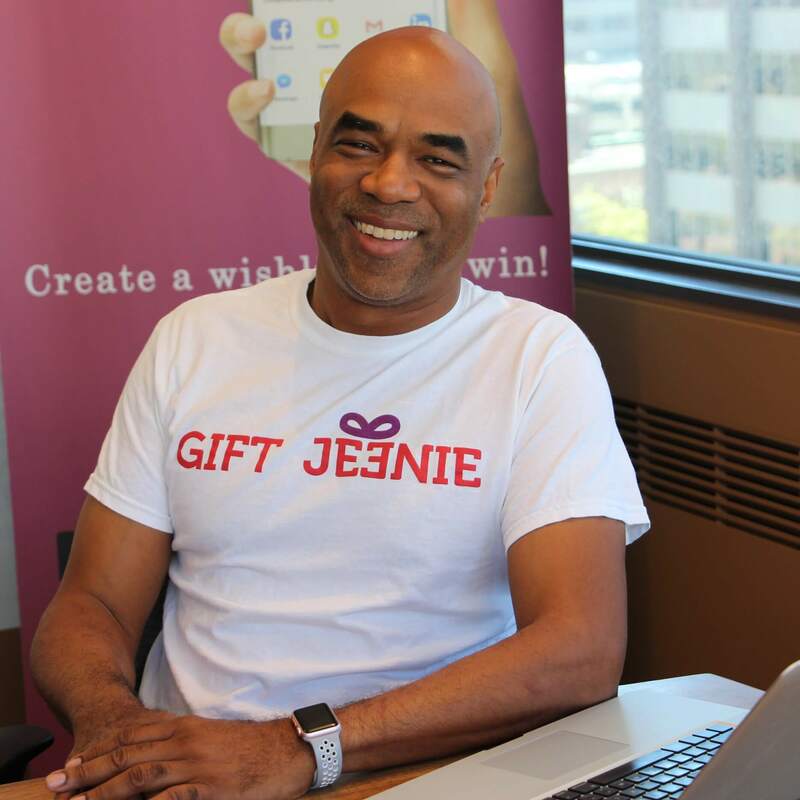 How is Gift Jeenie different from other online or Retailer gift registries? Gift Jeenie is a ‘one stop’ online database of all the items you wish to receive for any occasion. 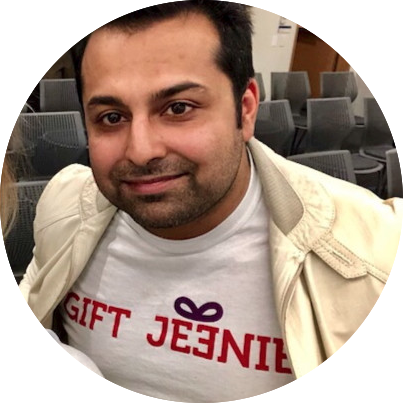 Gift Jeenie differs by not restricting users to any one Retailer and enables you to expand to as many Retailers, allowing your gift-givers to find all the items you are wishing for in one online place. How do I remove an item from my wish list? Go into your wish list, select the item you wish to remove and hit delete. After my special occasion has passed, does my wish list disappear? No. All items on your wish list remain until you decide to remove them. Can I print my wish list? 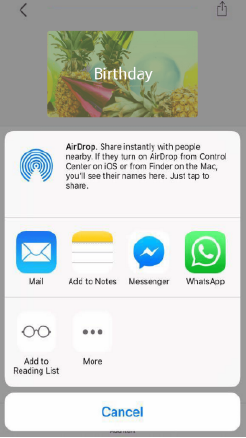 You are able to share via your social media channels (WhatsApp, Facebook, Twitter) from where you can print your items. Unfortunately, there is no direct print option. My family isn’t on Social Media, how can I share my list with them? You are able to email and SMS your wish list to others. 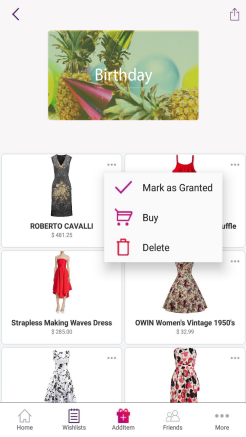 Remember if they do purchase any item on your list at a Retailer store, it will not be marked as ‘granted’ till they manually update the status within the app. Colleen Rodericks is a marketing and communications generalist with roots in copywriting and content production. She started her career in the software industry during the dotcom era. Through the years, she's worked in ecommerce, health & wellness, the furniture & appliance industry and consumer financing industry. 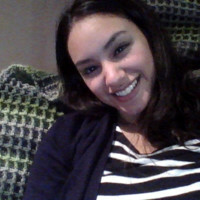 Enthusiastic individual with undying passion for marketing and always wanting to learn. Ragveer gets the job done on time no matter what! 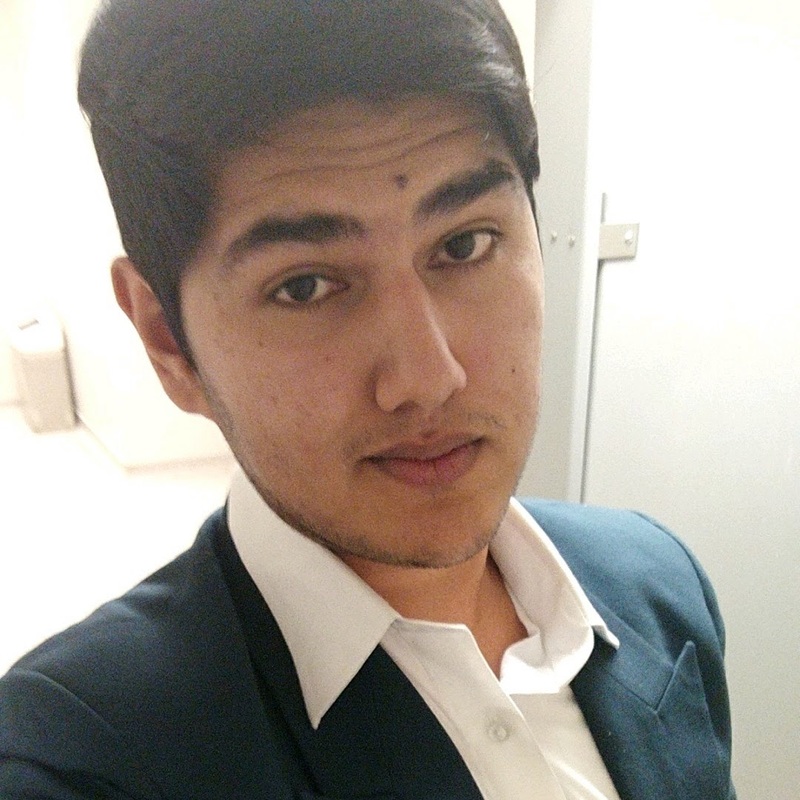 Ragveer likes to read, Netflix and chill and is a Fortnite addict. On Ragveer’s Wish list is a PS4 Pro, the Harry Potter Collection and a Honda Accord. What can we say, Ragveer is a Potterhead! Hibbat Tariq had a passion for the digital world from an early age. 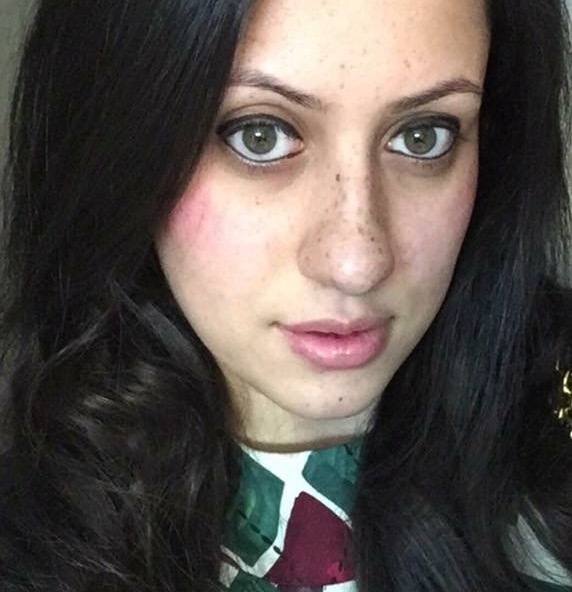 While attending University she gained experience in digital marketing, branding, public relations and social media strategy. She is a co-founder of Qreative Qreations and a strategist for small businesses and corporations to expand their digital growth. Colleen is our brand jeenie and idea synthesizer. She's got a way with words and sees the world through heart-shaped glasses. She makes sure that everything we produce is on point and on brand. She also has a passion for helping Gift Jeenie grow and has got a knack for setting trends instead of following them. A fun-loving foodie, Colleen's wishlist is full of plate sets and cooking supplies for those weekly potlucks at the office! Unique aptitude for spotting new trends and seizing the opportunity by filling gaps in the marketplace. Gerard's talent as an entrepreneur stems from his ability to take an idea from inception and turn it into a successful business venture. Gerard’s love of gourmet food is, balanced with his physical activities of cross fit, tennis and spending time with his family & close friends. On Gerard’s wish list is a Babolat Pure Drive tennis racket, underwater camera and a Tesla. Gerard likes to dream big! Pathfinder and serial entrepreneur. Vikram is the executor, focused like a laser beam and always on the go- launching new ventures and spear-heading initiatives. In between work, Vikram finds time to be a comic junkie, bookworm, Netflix addict and Martial artist. On Vikram's wish list is Marvel's Amazing Fantasy #15, 'Relic' - a novel by Douglas Preston & Lincoln Child and a BMW i8. Vik likes to go fast! 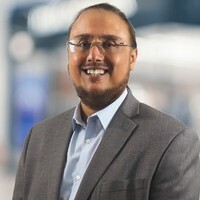 Harpreet is a former CTO with Cisco & Juniper Networks and a seasoned technologist with over 25 years of experience in architecting, designing, and implementing complex real time and scalable solutions globally. Along with being an advisor of multiple startups, he is currently an advisor to Government of Canada on leveraging disruptive technologies (such as BlockChain, Artificial Intelligence and Machine Learnings) for the national security and citizen services. 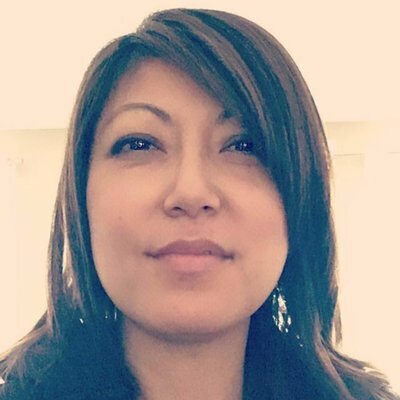 Harpreet is an industry leader, with design and implementation insights into multiple custom and open source Blockchains. If you have a question, please don’t hesitate to contact us. We are happy to assist you.